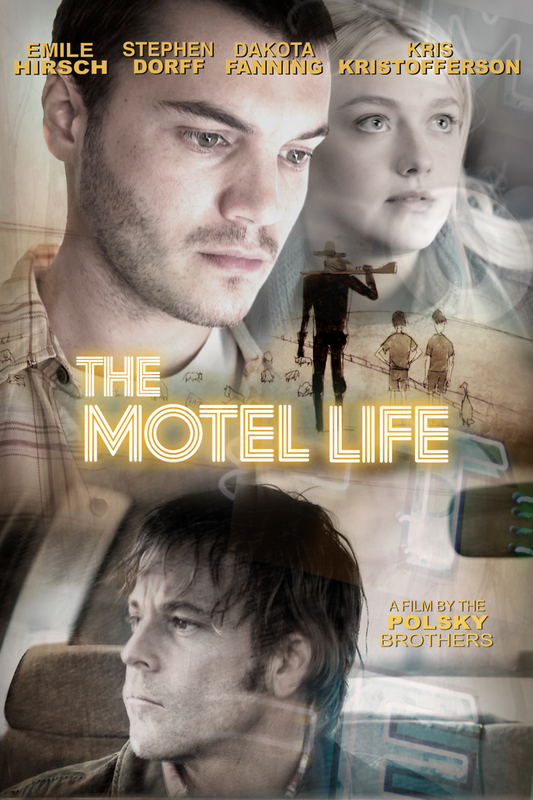 The Motel Life DVD and Blu-ray release date was set for June 3, 2014. Frank Flannigan has a talent for storytelling, while his brother Jerry Lee is a gifted artist. The brothers spend their days working odd jobs and drown their nights in alcohol, looking for the next motel to spend the night in. Life seems ordinary and uneventful until Jerry Lee gets in a car crash and flees the scene of the accident, and the brothers have to find a place to hide. They turn to Frank's ex-girlfriend, Annie James, who lives in another state. Although the authorities have no leads on the hit-and-run crime, Jerry Lee spirals into alcohol-fueled guilt, and the outcome of the situation is anything but certain. Frank, Jerry Lee and Annie look for hope amidst the unlikely backdrop of casinos and dive bars.